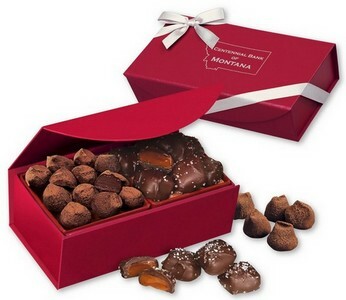 Sea Salt Caramels & Cocoa Dusted Truffles, one-half pound. Price includes imprint foil-stamped in gold or silver on box. Maximum size for enclosure cards: 6 x 3.5. Individual mailing carton is included at no charge.